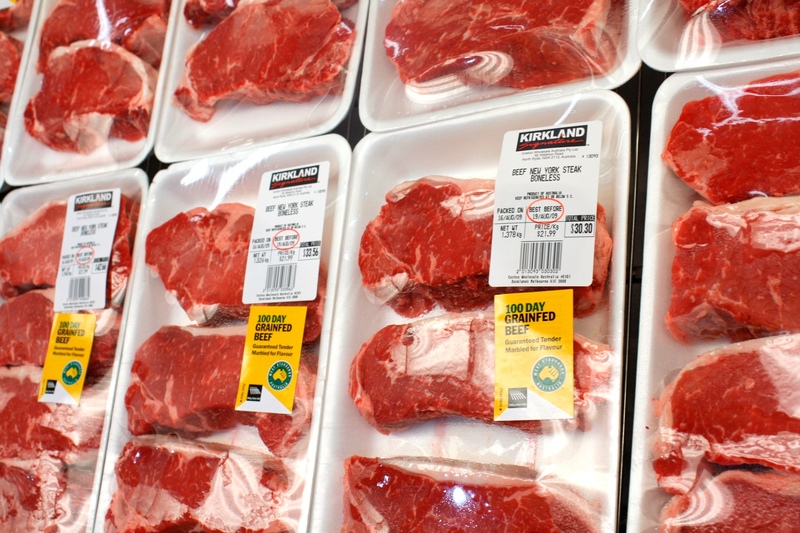 IN ANOTHER clear sign of the sagging price competitiveness of Australian export beef on the international stage, Korean retail giant Costco has shifted allegiance to US beef, after being supplied by Australia for the past decade or more. Costco is one of the largest retail beef accounts in Korea, and the result represents a substantial setback for Australian exporters. The US Meat Export Federation suggests the deal announced yesterday, which will see all of Costco’s beef requirements sourced out of the US, could amount to 15,000 tonnes of exports annually. Australian exporters say the figure sounds plausible. 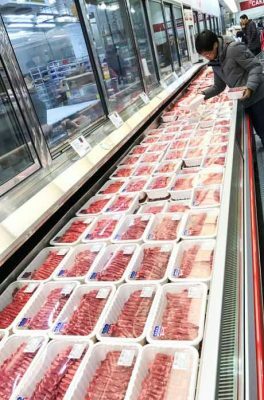 While there may be other minor factors at play including tariff levels under Australian and US Free Trade Agreements with Korea and generous US marketing support inducements to Costco, price is at the heart of the matter, Beef Central has been told. Australian meat prices have become increasingly less competitive this year. Our meat asking prices are inextricably linked to the price of cattle, which in Australia remain near record highs after two years of severe drought, pushing herd numbers to 20-year lows. At the same time cattle prices in the US have declined significantly, as the US beef herd surged to 93.6 million head in January, up 6pc from the year before. Increased production has pushed US beef exports sharply higher, and coupled with a mounting export challenge from Brazil, it has created a highly combative global beef climate. US beef has been rapidly building momentum in South Korea, with exports last year totalling 180,000t, up 42pc year-over-year. Value exceeded US$1 billion, up 31pc. Costco currently has 13 enormous ‘warehouse retail’ outlets in Korea, with two new locations scheduled to open this year. Last week, the company began transitioning two of those warehouses to 100 percent US chilled beef, and others will be converted in May. “Regaining Costco’s chilled beef business is a milestone on several fronts,” USMEF senior vice president for the Asia Pacific region, Joel Haggard, said in a statement. The US deal with Costco follows a multi-year effort by USMEF to persuade store managers that sales of US beef – a popular item at Costco – would match or exceed Australian beef sales due to revived consumer confidence in the safety of US beef. USMEF said it was also providing support to Costco to ensure a smooth transition to US chilled beef, helping re-acquaint customers with the full range of US beef cuts. “Korean consumers love the high quality of US beef and really enjoy the flavour of our product,” Dan Halstrom, USMEF senior vice president for marketing said. Korea’s per capita beef consumption set a new record in 2016 at more than 10.1kg per person, up 5pc year-on-year and increasing by one-third since 2009. “So US beef is not only gaining market share, but also contributing to growth in overall consumption,” Mr Halstrom said. “Korea’s demand for imported beef remains strong, and based on customs clearance data US beef topped Australian beef in Korea’s January imports, continuing a trend that began late last year,” US MEF said. An Australian export trade contact with close ties to the Korean market said the loss of the Costco account was a major setback for the three or four large Australian exporters who had been involved in filling the contract. Costco takes a range of Australian beef, marketing a high quality marbling score 2 grainfed product, mostly steak cuts, under its own Kirkland brand. It also takes large volumes of beef for marinated value-added products like Korea’s much-loved bulgogi thinly sliced beef. That’s been supplied primarily by Australian grassfed chuck rolls, exported as primals, and value-added in-market. “The switch to US supply is all to do with price,” the export contact said. He pointed out that Costco ultimately is an American-owned company, which may have also influenced the US supply decision. “The US MEF has a massive budget, and from what we can gather, they have thrown a lot of money at Costco in Korea, in promotional dollars,” he said. But price remained the underlying driver in the deal. “The US is currently at least US50c/lb cheaper than Australian exports, on virtually any cut you want to look at,” he said. Australian chuck rolls, for example, like those being used by Costco in Korea were currently worth conservatively, US$3/lb, compared with equivalent US product at $2.60 or $2.70/lb – between 10 and 15pc cheaper. Indications are that Australian supplies of marbling score 2 grainfed steer rib-eyes, which Costco sells in vast quantities, are probably currently US50c/lb more expensive than equivalent US grainfed. In the Korean market, the US also enjoys a tariff advantage over Australia, being further progressed with its Free Trade Agreement, which was probably worth another 5pc advantage. “It’s incredibly tough going in the export field for Australian processors at present, and the next two weeks are likely to get even worse,” an export trading desk contact said. “That’s because cattle prices are not retracting as quickly as the meat prices have gone back. None of these current sales have been crystalised yet, but once those results start to roll in, it is not going to be pretty,” he said. One trade contact predicted that Australian fullset prices could retract by US20c/lb between now and mid-to-late March, based on current international beef price movements. At fullset meat prices like that, Australian processors would have to be paying around 500c/kg carcase weight for slaughter cattle to go anywhere near breakeven, a processor contact said. Four-tooth heavy grassfed steer in Queensland this week was listed at 540c/kg on competitive processor grids. Another factor in the current meat price matrix is volumes of beef starting to build-up in cold storage. “Some export players have been resisting prices, putting meat away hoping they might improve – only to see the meat price continue to deteriorate,” the contact said. The trade contact said some of that product intended for export was now starting to find its way back onto the domestic market. The past three or four weeks has seen profitability turn sharply south on Australian beef exports, from an already weak position. Currency movement has contributed to that, with the A$ rising about US6c since the start of the year. Mounting vigour in US export volume and price had also forced that trend. “The US is relentless in key export markets at present, and very, very competitive,” he said. The problem for Australian exporters was that if the premium Japan and Korean markets are being serviced by growing US trade, the ‘next tier’ markets down did not have the capacity to pay as much. And it is being done without the “advantage” of traceability , MSA and all of the other so called leading edge Australian “leading edge” advantages we are forced to endure in Oz. Makes a mockery of the spin that is continually put out there when a country who has been a long term trading partner is happy to abandon the product we supply because it is becoming too costly and source another product from a different production system all together without the ” advantages” touted by our industry leaders and institutions. Roger’s point about the marketability of low cost protein has some resonance given the success of carabeef and now Spanish beef in the supply networks of our near neighbours and I might add, past customers as well. Australia has always gone about it the wrong way and MLA is to blame. Their strategy is foolish to say the least. Whenever you are in the farming business you look at the strengths of your particular farm against every other farm and based on those strengths you decide what to produce to give you the greatest profit. As a nation what strengths does Australia have. Closeness to a large market, huge land bases with no people. No weather to support grain finished beef. As such instead of as a nation going for top prices and top quality MLA should be encouraging huge herds, and cheap protein to the world, sheep and beef. Where America and Canada export corn and wheat Australia should be sending dehydrated protein meal. Brazil has 200m hectares and 200m cattle Aus has 400m hectares and 23m cattle. We could get serious if we had a National Agricultural Policy.